Entry to the awards is open to all full and 100-day licensed community radio stations in the Republic of Ireland. Only station representatives can put forward entries for the awards. 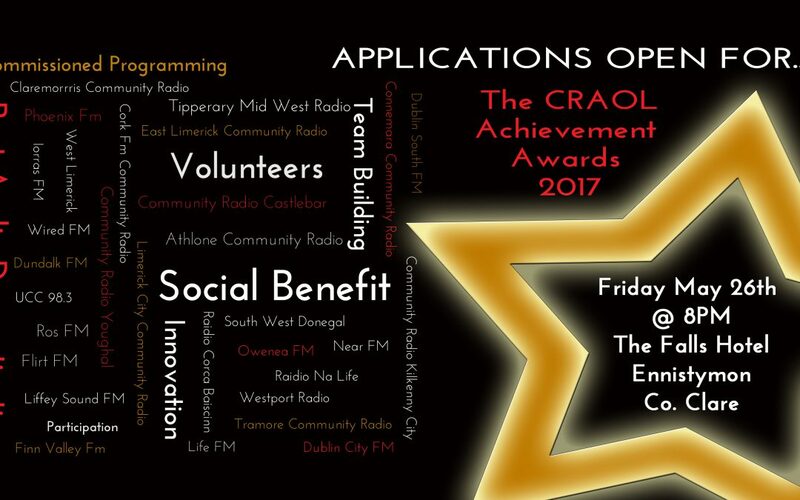 The purpose of the CRAOL Achievement Awards is to give your community radio station the opportunity to rise to the challenge of being the best community radio station you can be. 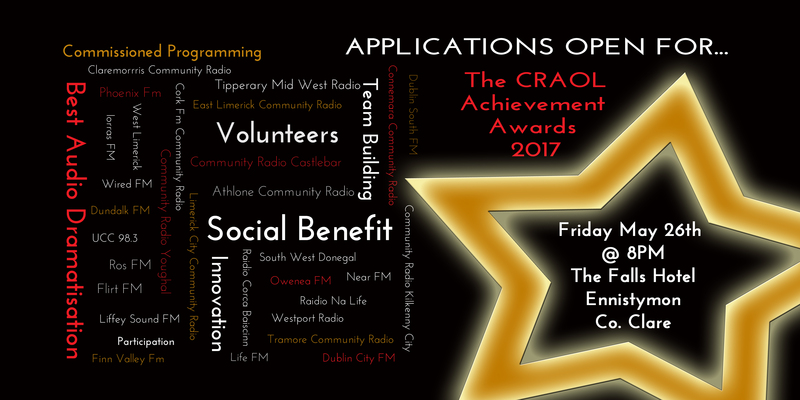 The awards give your station an opportunity to showcase your achievements and to be acknowledged by the CRAOL network of Community Radio Stations. This is not a competition between community stations. You are asked to submit programmes from your schedule which deal with certain themes selected by CRAOL. There are Seven Categories in 2017, three repeating Core Categories, plus four rotating categories which may not appear again for several years. This type of Award will enable your station to highlight such endorsements in grant applications, in local publicity etc. You are invited to submit application to ANY of the selected themes.. Applications up to a maximum of TWO, one from each of the CORE and ROTATING Categories. e.g one from each category or two from one category. The application form is below. You are required to submit a seperate application form for each programme you would like to enter. Good Luck!